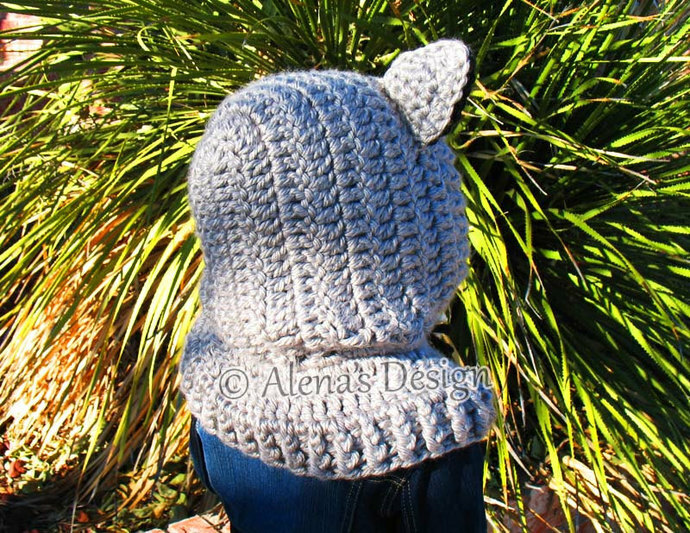 This seamless Hooded Cowl will keep you warm on those really cold days! 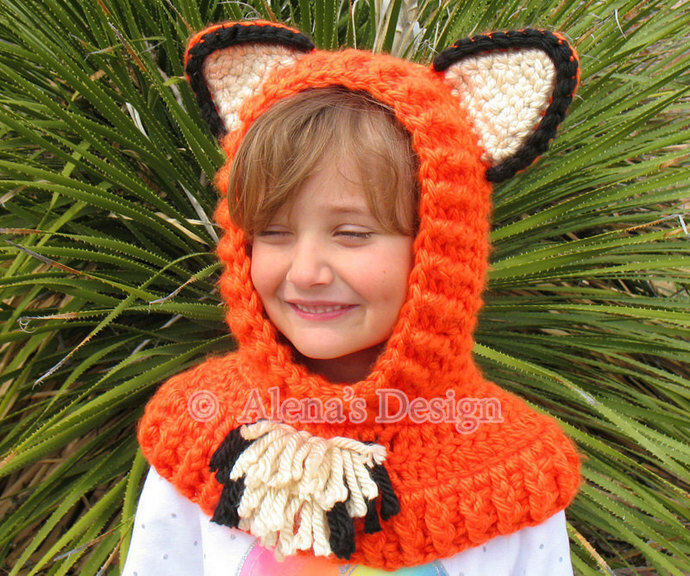 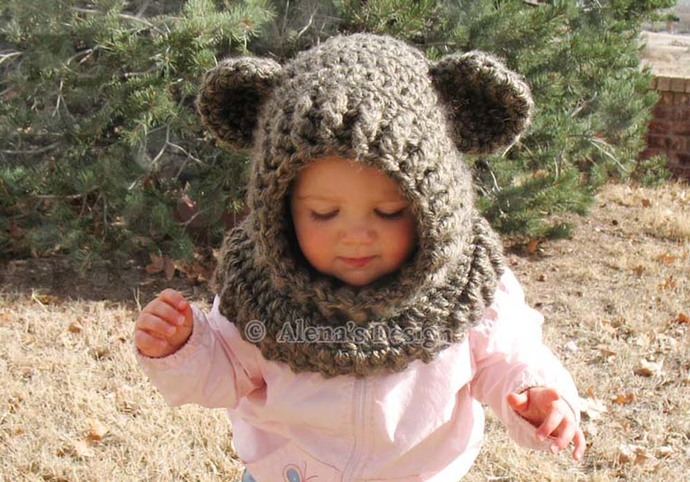 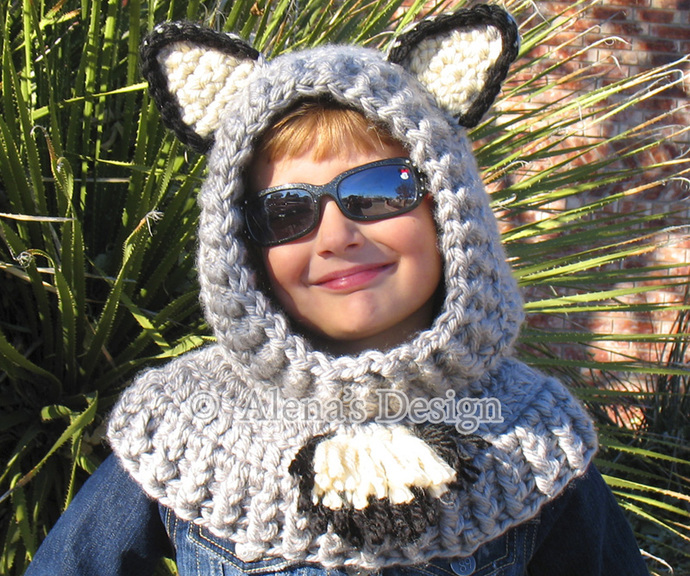 Also, the crocheted ears and the artificial decorative fur gives this Cowl an adorable and very attractive look. 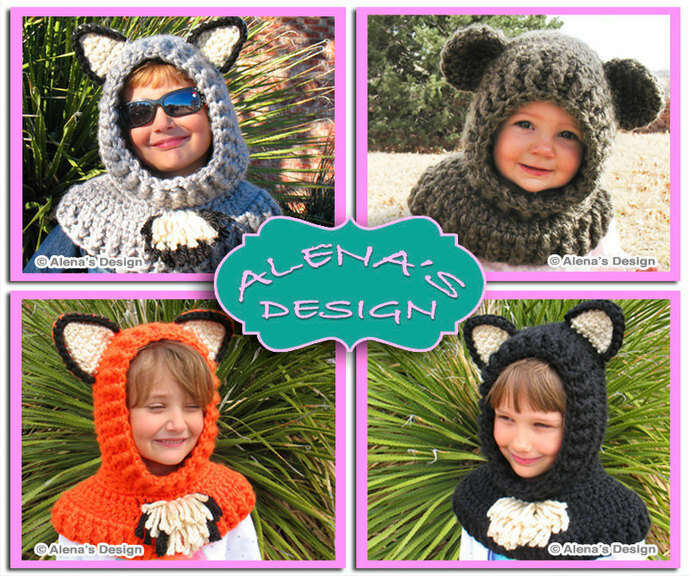 You can make a Grey Wolf, Red Fox, Brown Bear, or a Black Cat. 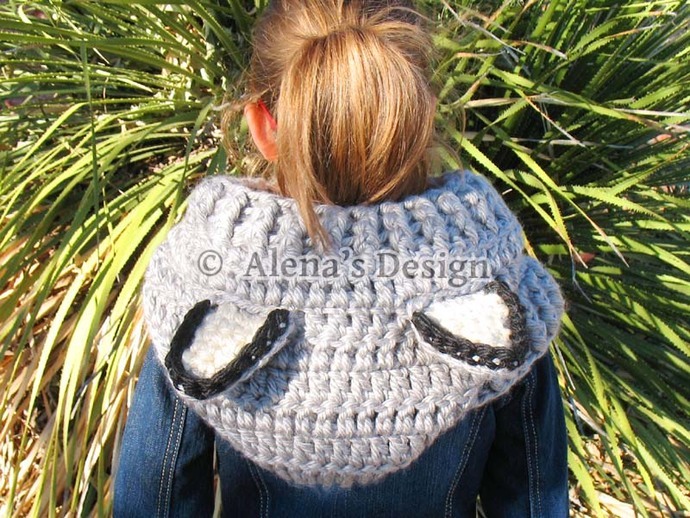 The back of the Hood is round. 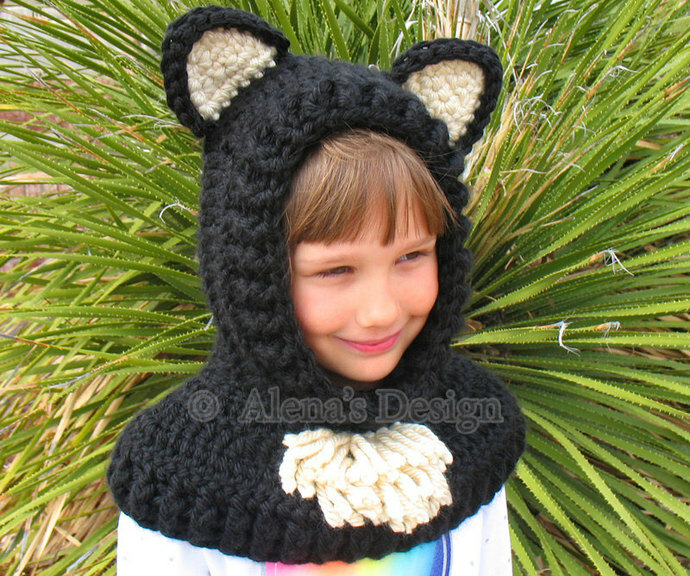 Begin work at center back of Hood on rows, then continue working around the Collar. 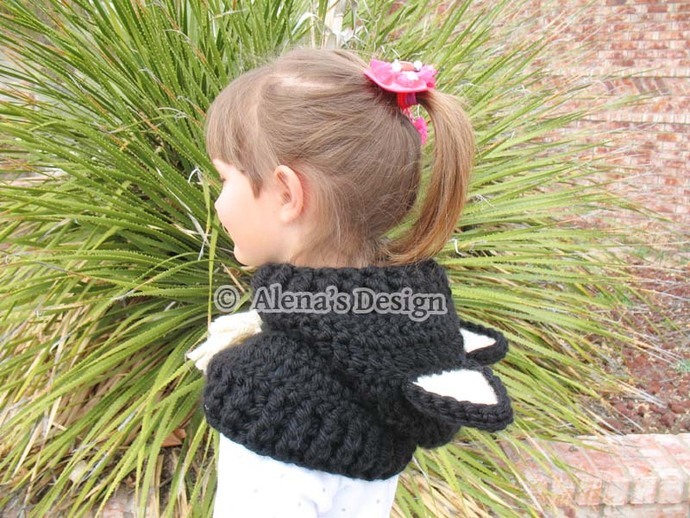 L/11 (8.00 mm) crochet hook, OR SIZE TO OBTAIN GAUGE.